Legend G3 with 4-Sided Square Picture Frame Trim Kit in Black,Brushed Nickel Contemporary Surround and Decorative Rock Kit. When you are updating your living space, usually the first big change is the furniture in the room. Not only does changing the furniture refresh the look of your space, it also lets you try new styles and designs. One piece that is perfect for this is a comfortable, accent chair that pulls the entire room together. But how do you go about choosing the perfect chair for your space? Well, it’s important to consider a few key points before making the purchase, as the chair can be an integral part of your color and design scheme. Do find inspiration and design ideas before you make your purchase. It’s really important to look around on home design websites, Pinterest and in home magazines to get inspiration and ideas that will help you narrow down what type of chair and style you prefer. This will help you make the right decision and will give you a good idea of what to look for when you start shopping. Don’t feel like you have to go with the latest trend. Just because a certain pattern or style is on trend, doesn’t mean it’s what you must go with. Ultimately, you will have to live with the chair in your living space, so you want it to represent you and your personality. So if you find your chair in the perfect color and it isn’t in season or trendy, throw caution to the wind and get what you love! Do look everywhere for the perfect chair, as you never know where you find what you’re looking for. This means checking the high end of the scale such as a designer furniture shop and checking the low end, such as a hidden treasure at your local antique store. Even if you have to put a little work into a special find, it can be worth it to find the perfect fit for your home. Do set a budget before you start looking. It can be so easy to get carried away and fall in love with an item before you see the price tag. Make sure to keep your budget in mind, so you can eliminate items that will be out of your range. Also, depending where you find your chair, don’t forget haggling might be an option. You have to know the store you’re in before you can make a deal, but you never know if you can get a deal until you ask! Don’t feel constricted to matching your accent chair to everything else in your home. This is your chance to get a little wild with your choice in furniture. The key rule to keep in mind, is to find undertones or colors that you already have in your home within the chair you choose. That way, your design will look cohesive and you’ll still be able to go a little crazy with your pattern, color or shape. Have fun with the process of buying a new accent chair or piece and make sure to do your research before you make your final purchase! 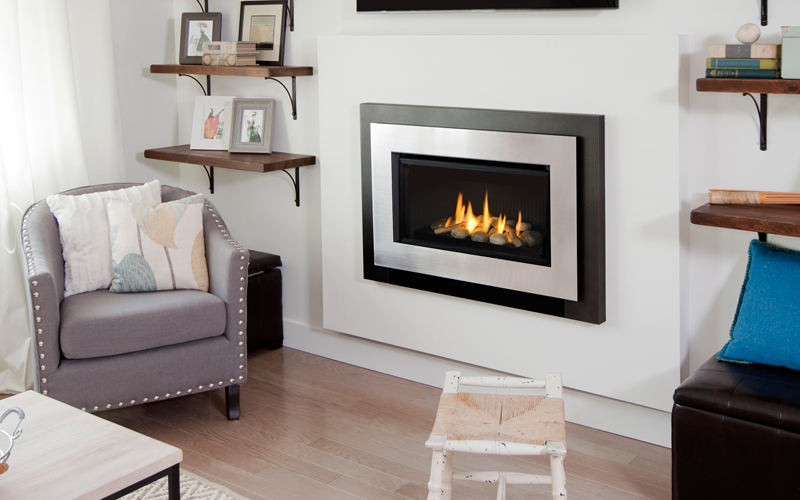 For more information on Valor Fireplaces, please visit us here.